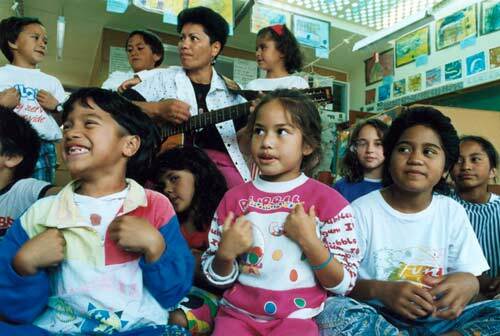 Despite the fact that almost two-thirds of the Māori population were living in the main urban centres in the 2000s, there was a major revival in the use of the Māori language. It is an official language of New Zealand, and there have been widespread efforts to teach the language in both preschool kōhanga reo (language nests) and schools. These pupils at Thorndon School in Wellington are learning the language.